So, I had a party yesterday. It wasn’t my birthday, so I could really enjoy this party. (Whoever said getting old was fun?) I made so many desserts it took me all day Friday and Saturday morning to bake them all. 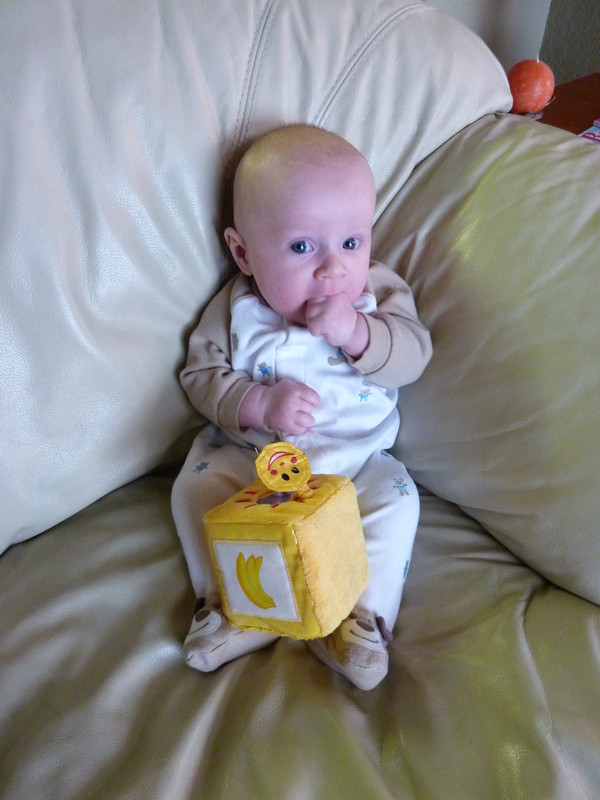 And fortunately, I had the help of my husband, so I could focus on the baking and not be distracted with my now three-month-old baby. 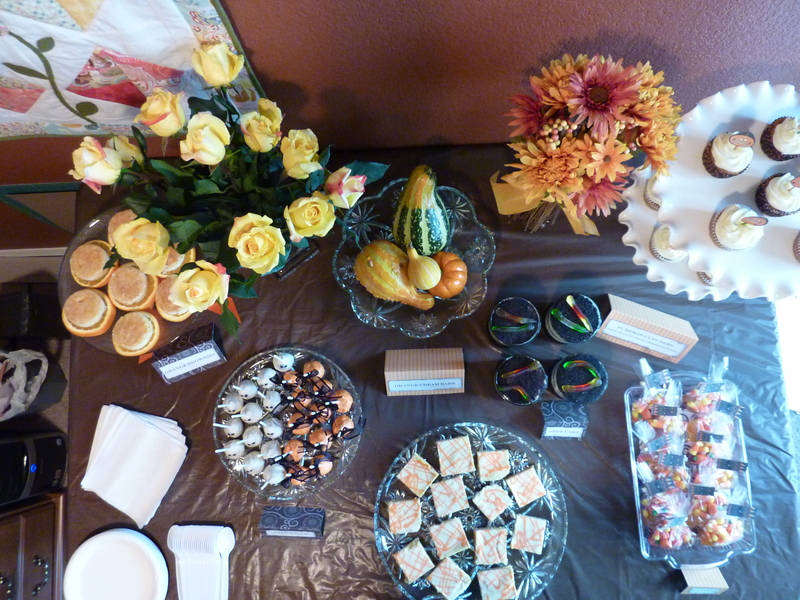 Since it was a Halloween pumpkin carving party, and it’s fall, I decided to have the dessert table incorporate the colors of brown, yellow, and orange. I made desserts that “fit” into the theme of fall as well. And I was more than excited to use my new Halloween and fall scrapbooking paper I just bought. Scrapbooking has been low on my priority list since my baby was born. One of these days I will print out all the pictures I’ve taken of my baby and scrapbook them, but I still haven’t finished scrapbooking my wedding, and that was three years ago! Okay, so I digress. Back to the desserts. 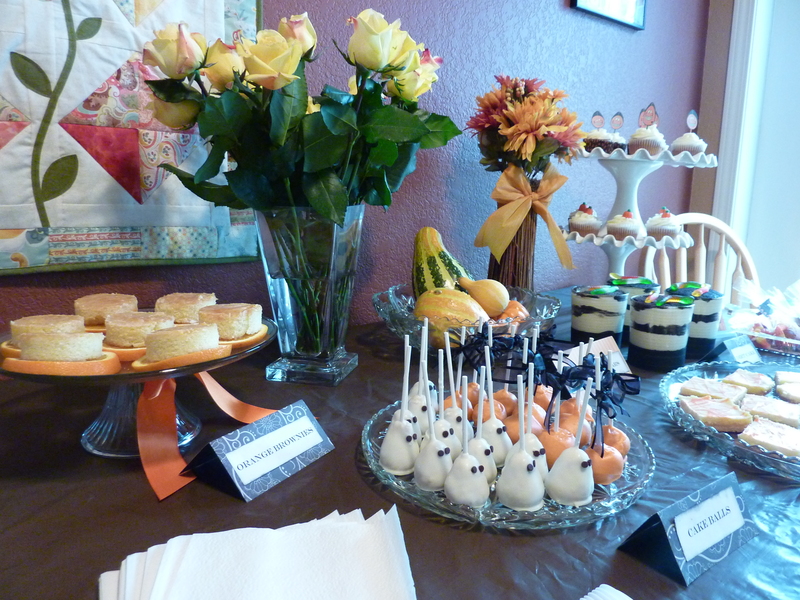 This is the final dessert table. I made five different desserts and an extra favor display for the kids. Getting Halloween candy is so much fun; I made sure I had some leftover for the adults. My baby, Matthew, was very excited for everyone to come over and see him. I had to distract him with a toy until the guests arrived. He wanted to be a bear for Halloween. 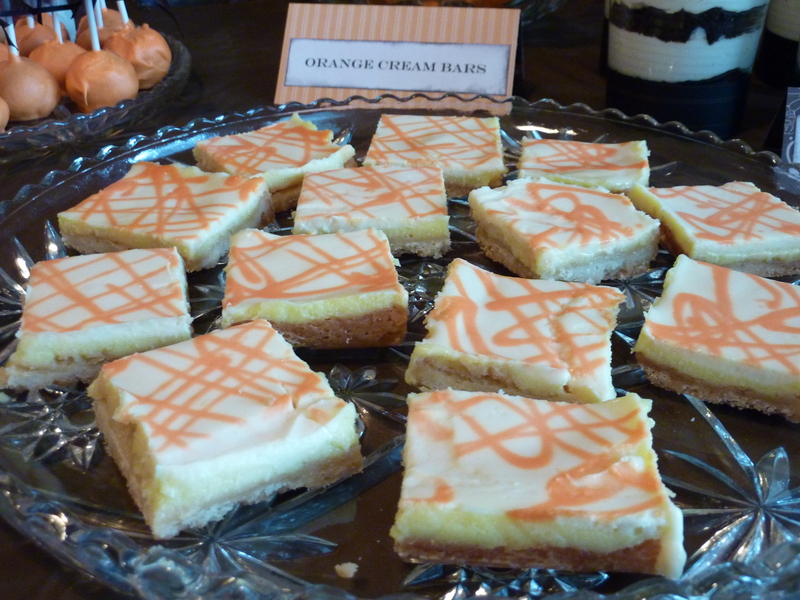 These orange cream bars were so good! They have three layers in them–a crust, an orange curd, and a sweet orangey (is that a word?) topping. I was supper nervous about this dessert because the curd has eggs that I had to heat up on the stove and I had to make sure the egg didn’t curddle. Fortunatley, I whisked it enough. Eric, my sweet husband, took all these photos, and right after this picture, he dropped the camera into one of the cream bars. Oops! He spent about 5 minutes trying to get it out of the camera lens. The next dessert I made was dirt cake. 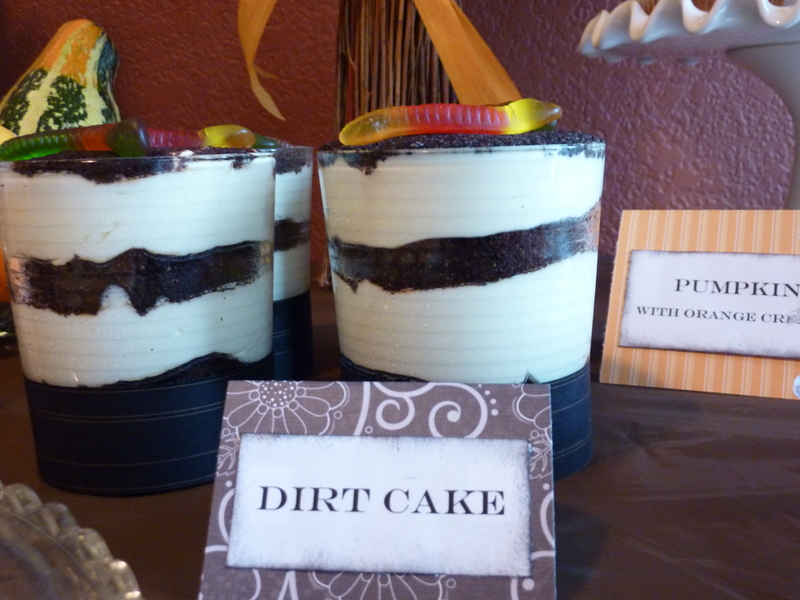 Oh, how I love dirt cake! I used vanilla pudding because first of all I like it better than chocolate pudding, and second of all, I wanted to show off the layers. I cut out scrapbooking paper and taped it to the bottom of the glass for a fun look. 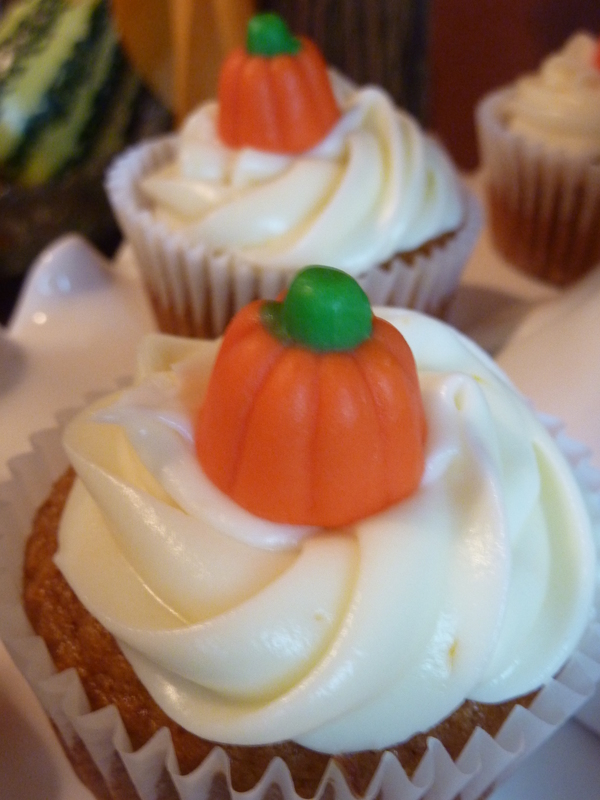 This is the first time I made pumpkin cupcakes, and I have to say, I am a new fan. It was so moist! 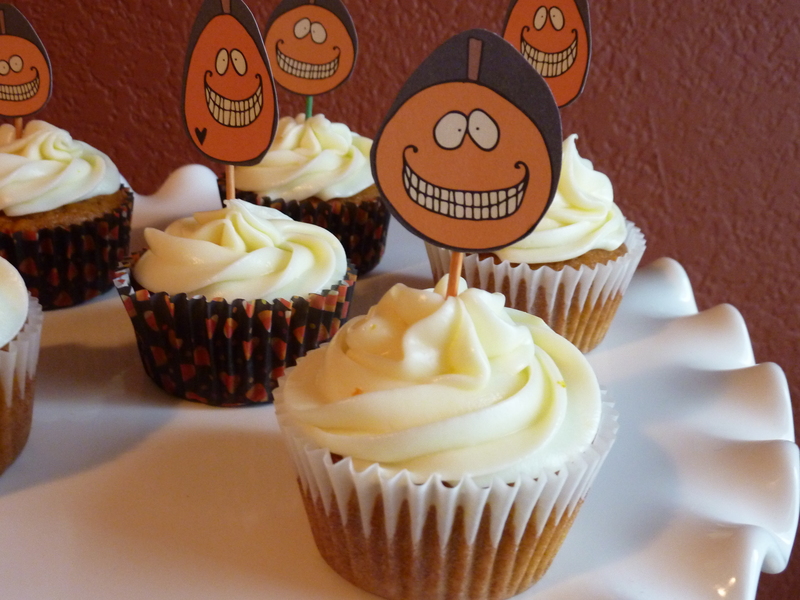 Pumpkin scrapbook paper was cut out and glued to a toothpick, then inserted into the top of the cupcake. Half had the paper pumpkin, and half had the candy-corn-type pumpkin. 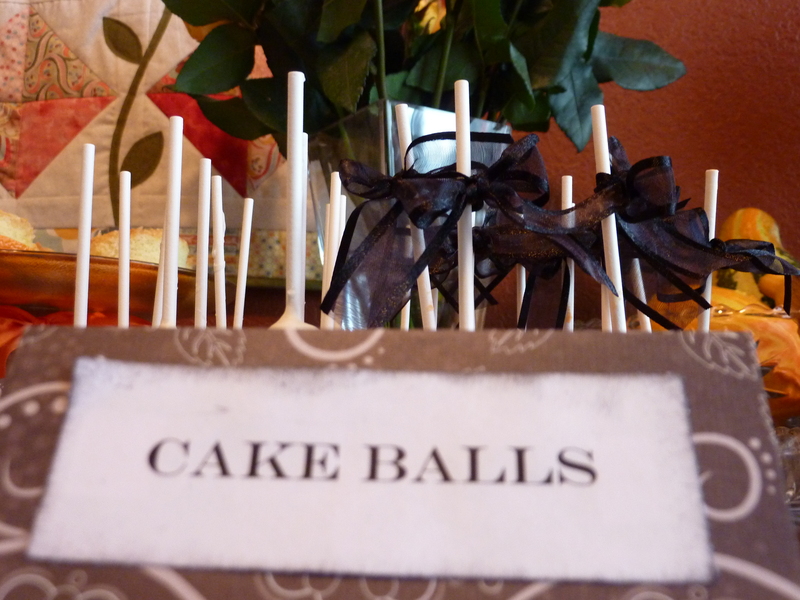 Okay, cake balls once again, and this time, I did my homework. I bought Bakerella’s book, Cake Pops, and did exactly as she said, and they turned out so much better than my last attempt. No cake in the candy melts! I was planning on using edible ink to draw a picture into the jack-o-lantern’s face, but my pen refused to write. Bad pen! So, I came up with plan b, and used black ribbon instead. 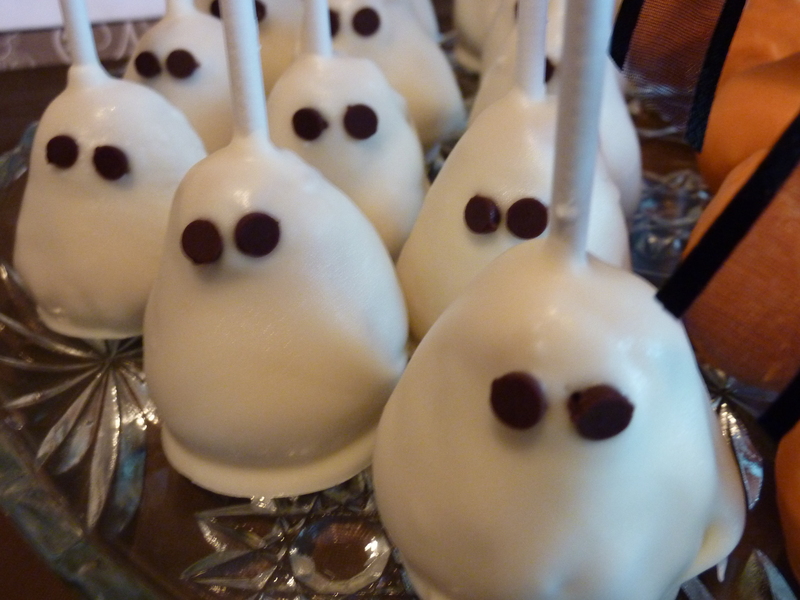 For the ghosts, I used mini chocolate chips for eyes. 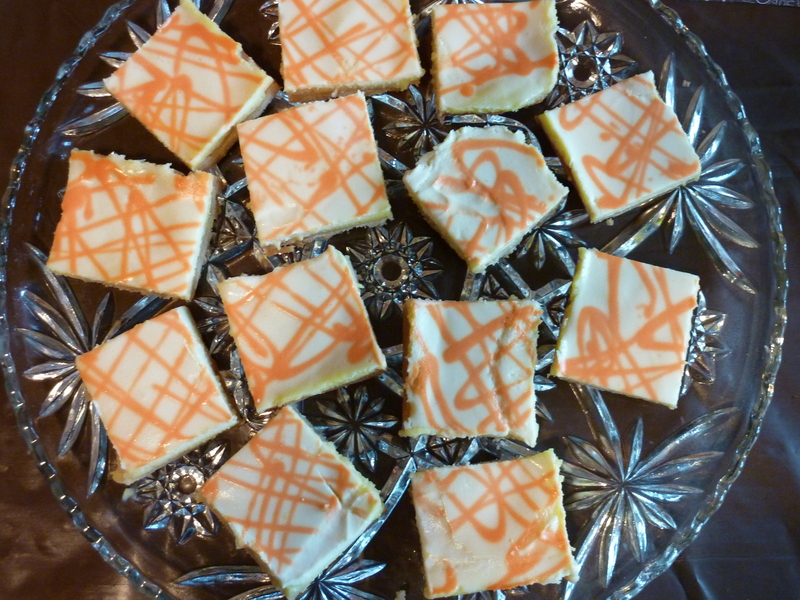 The last dessert I made was Orange Brownies, from Paula Deen. I just love her, and this is the first dessert I made from her cookbook. They aren’t really brownies, but more like a dense, yummy cake. My friend thought they tasted somewhat like Krispy Kreme doughnuts, but you should make them and find out for yourself. 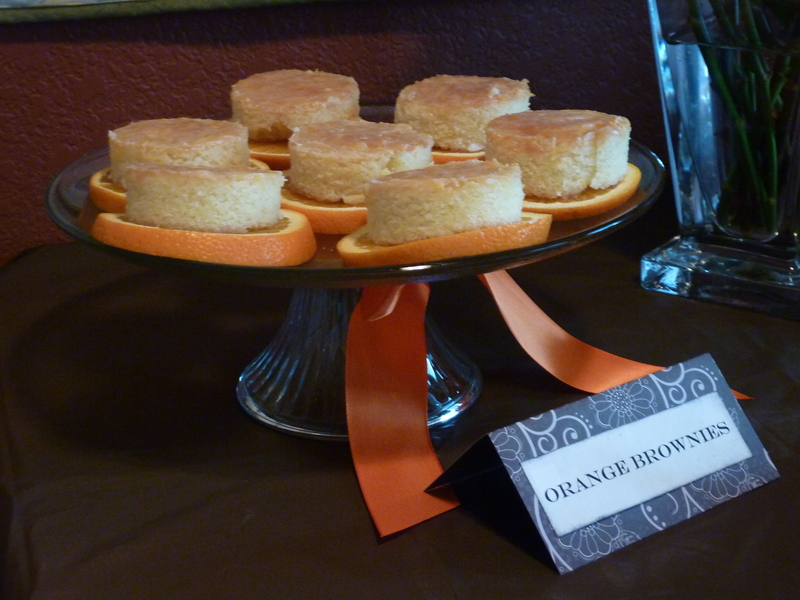 I cut them out using a biscuit cutter and placed them on orange slices. I made sure the orange slices were dry so the brownies didn’t soak up all that moisture. Favors. Don’t you just love them? It’s a little present to say thanks for coming. Presents are my favorite, and I thought the kids would love them. Kids love presents. I bought small clothespins and glued scrapbook paper to it to tie the bags closed. These last two pictures are a side view and a top view. I had so much fun making these desserts for my friends. Next year, I am going to require everyone to bring their pumpkin and carve it, since it was a Halloween pumpkin carving party. (Just kidding friends! I’m glad you came.) I’d show you the two Eric made, but they are currently outside our door in the rain and it’s dark outside. I promise you they are cute though! 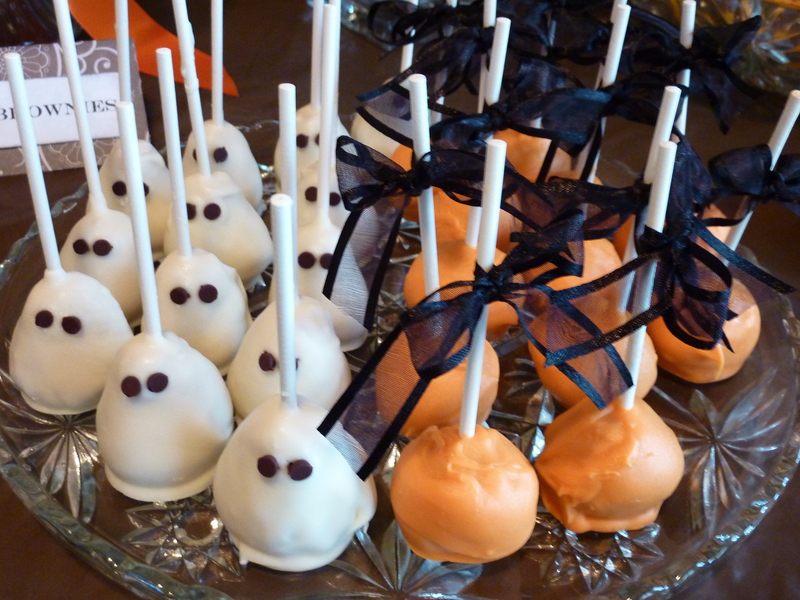 Ok..checked out last years dessert….let’s make the cupcakes and pops..I dont think I could handle making the bars..too hard for me. 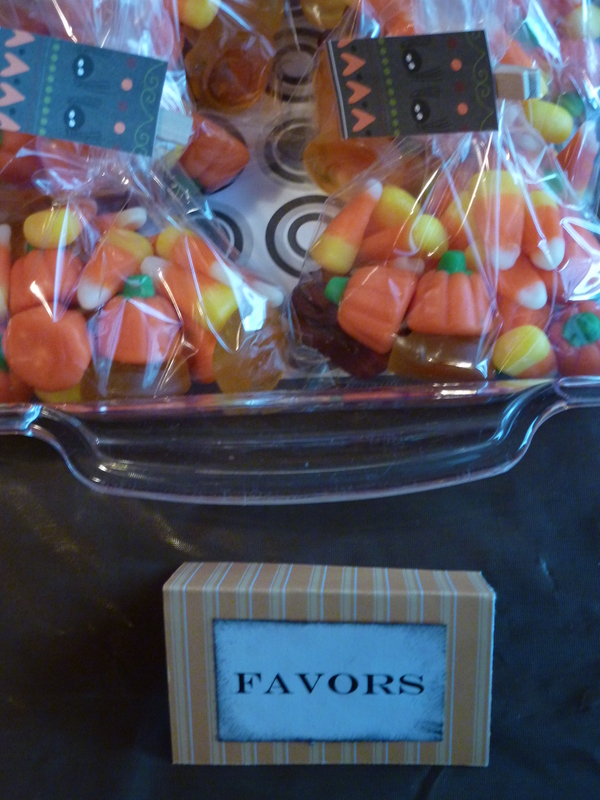 I love the favor bags with the clips and papers and I love the toothpick paper pick. So cute!